First time visitors to New Mexico ask me what to see when in Santa Fe and Albuquerque. As long as the weather is cooperative, I recommend a visit to hike in the special landscape found somewhere in the middle. It’s called Kasha-Katuwe in Keres, the language of the Cochiti people. 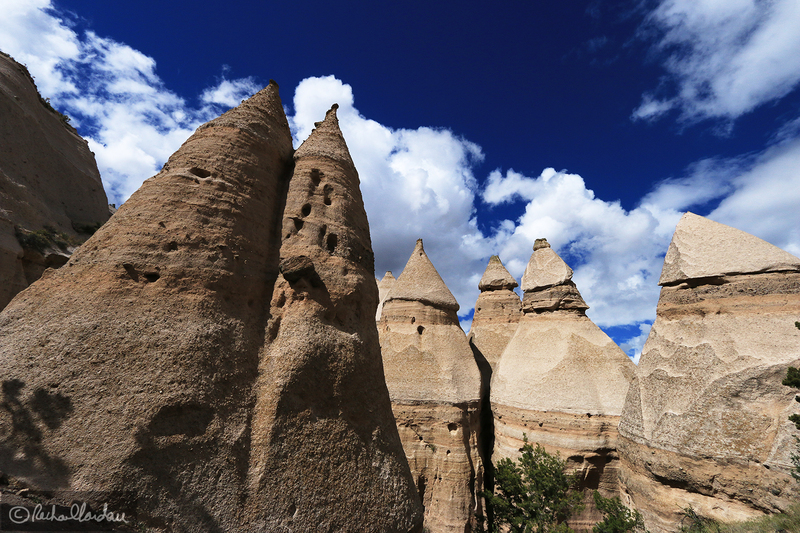 We call it Tent Rocks National Monument. Cochiti pueblo and the BLM possess concurrent jurisdiction over Kasha-Katuwe Tent Rocks National Monument. I have many photos from this park and will share more in future posts at a later date. The National Monument, on the Pajarito Plateau in north-central New Mexico, includes a national recreation trail and ranges from 5,570 feet to 6,760 feet above sea level. Looks familiar , and its a fun day and worth the trip.